Examples, solutions, videos, activities and worksheets that are suitable for A Level Maths. What is Completing the Square? The vertex form can be used to find the vertex of a quadratic equation and to solve a quadratic equation. 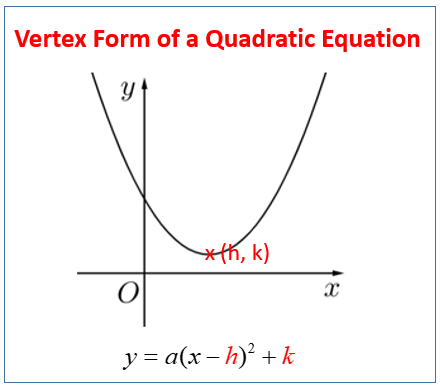 The following diagram gives the vertex form of a quadratic equation. Scroll down the page for more examples and solutions. How to Solve a Quadratic Equation by Completing the Square?